Honeywell MV876B1018 Automatic backwash control, fits 1/2" - 2in F76S, F74C models. The MV876B Automatic-Backwash Control is available as an accessory. This control is fitted to the drain Valve and is programmed by the user to automatically perform the backwash function according to the desired interval. Bayonet fitting simplifies upgrade to automatic backwash. 16 field-selectable backwash intervals (from every four minutes to once every three months) eliminate need for external timer. 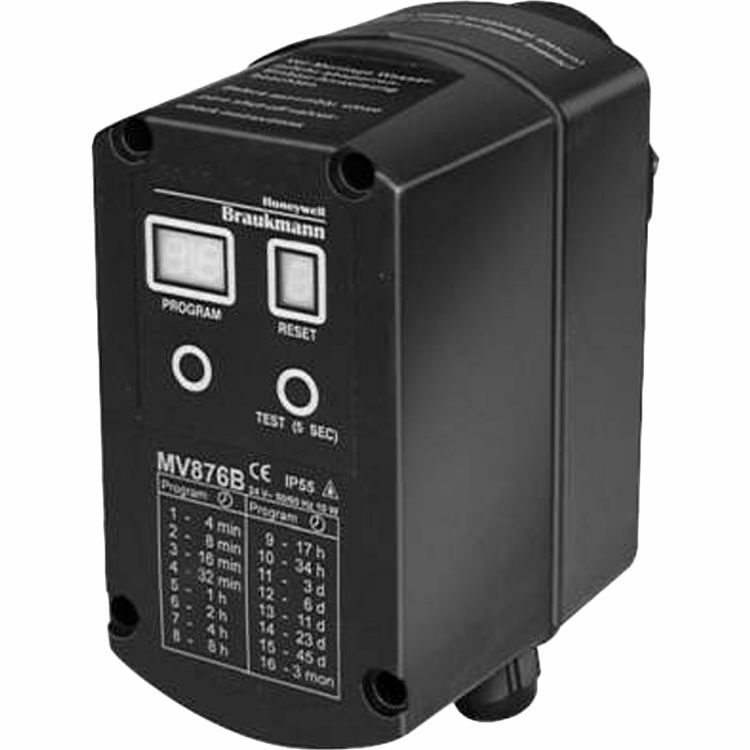 Connections for external control on the MV876 provide for use in automated systems and differential pressure control. Battery (AA) backup to insure completion of backwash cycle in spite of power loss.